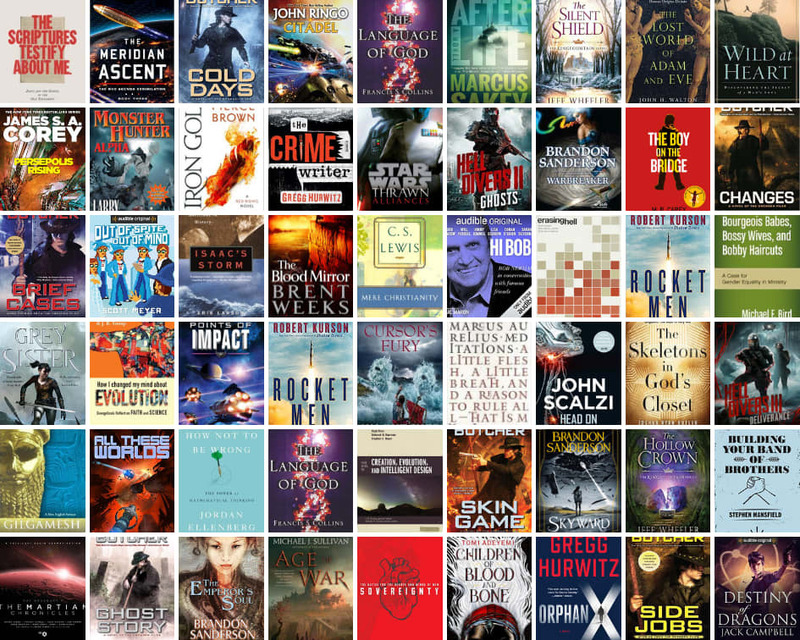 By the very last few days of 2018, I was able to meet my reading challenge of 52 books for the year. That is crazy! I read more non-fiction this year than any other year, and I hope to read a more steady dose in the future. But it also meant that if it wasn’t for my early lead I had at the beginning of the year, I probably wouldn’t have made my goal. For 2019, I cut my goal in half. Because of this, I’m keeping my goal attainable. Per the usual, Goodreads does a much better job presenting my reading for the year, so check it out there. Rocket Men: The Daring Odyssey of Apollo 8 and the Astronauts Who Made Man’s First Journey to the Moon. This was really hard to decide upon. I read so many extremely good books this past year that I didn’t know if I could choose. 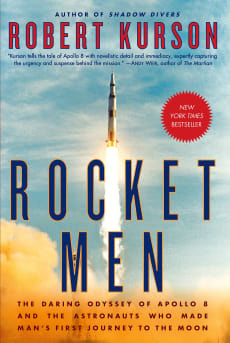 I finally settled on this book by Robert Kurson, Rocket Men. It is the story of the Apollo 8 mission. I never realized the scope and importance of this particular Apollo mission. Basically, the Apollo 8 mission was moved up to launch sooner than intended, put on breakneck schedule to solve all issues necessary for successful mission, and increased the mission parameters of not just going to the moon and back…but orbiting. All of this to ensure we beat the Russians to the moon. It is a fantastic read, Kurson paces the book much like a movie or documentary where the details don’t get too boring but you don’t feel like you are missing something. I would recommend this book to almost anyone. In a singularly beautiful story, it seemed only fitting that the first men to leave Earth considered home to be the most important place in the universe. 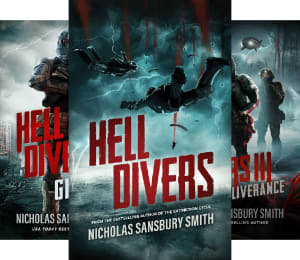 Hell Divers Series by Nicholas Sansbury Smith is a great series about a post-apocalyptical, nuclear radiation torn Earth. Airships are all that have survived this apocalypse and Hell Divers are people who dive from these airships to scavenge what they can from the surface. The first book is riveting and crazy, the second slows down a bit, but the third picks back up with force! I’m currently reading the fourth book and the fifth comes out mid-2019. Due to the radiation and time frame, there’s some fantastical creatures that emerge and gripping action. There’s some politics as well, but it doesn’t get overbearing. Good story and good read. 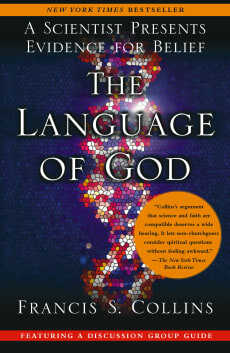 The Language of God: A Scientist Presents Evidence for Belief by Francis Collins is a fantastic book about how one of the leading scientists of our modern time still maintains that there is sufficient evidence for belief in God. It puts together a nice case and is very clear. I actually expected some significant science language in this that would be hard to get through, but was surprised as to how clear Collins is in presenting his case. He clears the air in showing that there should not be any tension between science and faith, and there is a state where these two discussion can co-exist in perfect harmony. Loved this book, it is a must read. At this point, godless materialists might be cheering. If humans evolved strictly by mutation and natural selection, who needs God to explain us? To this, I reply: I do. The comparison of chimp and human sequences, interesting as it is, does not tell us what it means to be human. In my views, DNA sequence alone, even if accompanied by a vast trove of data on biological function, will never explain certain special human attributes, such as the knowledge of the Moral Law and the universal search for God. Freeing God from the burden of special acts of creation does not remove Him as the source of the things that make humanity special, and of the universe itself. It merely shows us something of how He operates. I do not believe that the God who created all the universe, and who communes with His people through prayer and spiritual insight, would expect us to deny the obvious truths of the natural world that science has revealed to us, in order to prove our love for Him. Most of the time, my “Biggest Surprise” category goes to a book that I wasn’t sure I was going to like or had never heard of and it blew me away. This year, it’s a little different. Jeff Campbell is an excellent writer and the Pillars of Reality was a great series. 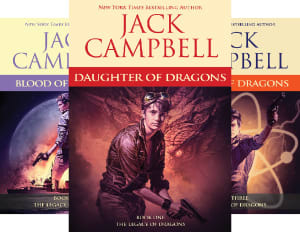 In Legacy of Dragons series, something broke…the stories that should have been extremely compelling were extremely flat. With the introduction of some modernity to the world from a realization that they are Earthen exiles, and how this technology meshes with the magic sounded like a great recipe for world-building. But the story was full of teen angst and one-dimensional characters. It’s too bad…I had high hopes. Along with the “Surprise” above, there was one other book that I was not a fan of. Erasing Hell: What God Said about Eternity, and the Things We’ve Made Up by Francis Chan was not a good book. Primarily the book was a counter to Rob Bell’s Love Wins book where he lays a case for why Universalism has stronger biblical backing than hell as viewed as Eternal Conscious Torment (ETC). But Chan, firstly misses some of what Bell was trying to do, which is honestly forgivable because I’m pretty sure everyone missed that, including myself. Secondly, he lays out a case, but then categorically denies the evidence he provides and falls back on what I read as simply “maintaining traditions”. Bell’s problem is he lays out a case and doesn’t properly defend it nor show why it is greater or worse than the alternative views. Chan’s problem is that he does show these cases and appears to defend them…but then does a 180 when he talks about “his beliefs”. That’s a good list. It was honestly a really good year in reading, here’s looking toward 2019 for an even better one.